EventBay is a mobile events app that facilitates easier social interaction by letting users manage and share social events and activities around them with their friends or family. EventBay is a mobile events app that facilitates easier social interaction by letting users manage and share social events and activities around them with their friends or family. You can virtually use EventBay to find interesting parties, hikes, rock festivals, art galleries and many more social happenings within or around you. The app also features a very dynamic and user friendly user interface (UI), which lets you do a lot without any hassle. You can choose what events to a participate in, filter the events by categories, share events that you will attend with your friends on social media such as Twitter, Facebook or LinkedIn. Reading reviews on the Google Market, one can actually gauge the popularity of the app. The app generates positive feedbacks which clearly demonstrate a satisfied client’s base as well as a chosen preference. Not much difference in terms of the service they offer but it clearly stands out above the rest in its own class. Averaging regular positive and satisfied customer reviews on Google Market is no mean task but EventBay actually manages to do so. On average most users acknowledge the reliability of the application and the fact that it does what it says. It will do. The app completely distinguishes itself from the other plethora of events managing apps, through its crispy, easy and well-choreographed interface, which allows to micro manage your events according to place and time or the distance. How does the web app look and feel to use? The web app has a spontaneous feel in that, its lively and easy to maneuver about- there is no clutter to distract you as you read through events. Choosing an event is very easy since they feature very prominently and are well laid out according to place, time-frame and distance. Another major boost is the social integration aspect. You can find people who are attending an event you’re interested in. 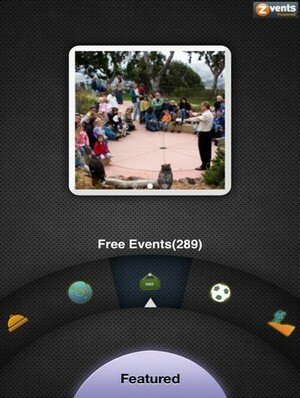 Eventbay is absolutely free for users who download it and use it to connect to social events within their locale. The user is not obligated to purchase admissions or products from any of the events posted on the site. However, it should be noted that users, who choose to participate in any event that is is on the site will be required to pay fees if the events has admission fees or there any applicable fees required. But the user does not pay anything to EventBay. For now the app is concentrating it services in Canada and the US Region. But it will be exciting to see this great app transcend physical boundaries and venture to other parts of the world. Within the regions it is in use, EventBay offers real-time information about events happening around you and if in case you’re visiting a new city, you can still check what’s buzzing and share it out. It showcases an incredible list of events to choose from. Free Events: Anyone who wants to save money and still get information on greats happenings and social trends can use the app to find the listings. Filter Events: Now you can search for activities based on tags and categories e.g. how far the event is from your location etc. Share Events: Like i pointed out, the app has made it easier for you to connect with your buddies on Facebook, LinkedIn and twitter where you can share your weekday and weekend activities/events. Notifications: Aha! ever set a reminder on your smart phone about an important event and but the phone went berserk, either you got late or forgot the whole thing. Well, EventBay corrects that by regularly reminding you on the social events that you selected until they expire. Nice! Search by location: On the go? never mind, as EventBay is aptly updated to make sure you don’t miss any event happening where you are. You can search and find events anywhere you are. Add to Calendar: Apart from the apps reminders, EventBay has created a platform where you can add your events to your phone’s calendar outside of the app.